Is your furnace living up to its full potential? The furnace professionals at Star Cities Plumbing & Heating can help by ensuring your heating system is working efficiently. 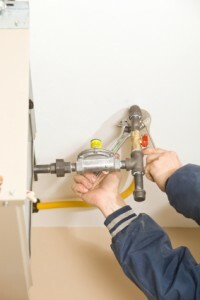 We provide furnace repair and installation services you can depend on. Whether you’re moving into a new residence or you simply need an updated furnace in your existing home, our experienced technicians can help. Do You Need to Install a New Furnace? Your Furnace is Old: Most furnaces last an average of 16 to 20 years. Looking for a new furnace before your old furnace stops working completely will allow you to choose the best furnace model for your home. Our experts will help by pointing you in the right direction. Consistent Furnace Repairs: Does your furnace constantly need maintenance or repairs? It may be getting time to replace it with a new one. Talk to our New York City heating experts to find out more information on whether your home would benefit from a new furnace installation. Heating Bills are Increasing: As furnaces age their efficiency decreases, which may show on your energy bill. If you have noticed a substantial increase on your monthly bill, a new furnace may be just what you need. At Star Cities Plumbing & Heating we strive to meet the unique demands of our clients. We truly care about providing exceptional service, and value return business. Not only will our professional technicians arrive on time, but we are clean, honest and extremely knowledgeable in our field. Call us today to witness our amazing service first-hand. Our certified New York City heating technicians are ready to serve you. Give us a call at 800-547-1422 or contact us online today to find out how we can help improve the comfort and efficiency of your home. We are proud to serve Manhattan and Brooklyn homeowners.